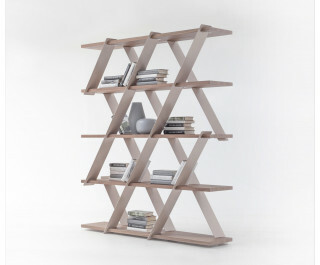 An essential and light structure, based on open spaces and light triangles that step into metal and wood. Just like a house of cards, CASTLE is filled with colors, with lighting effects created by its every finishing. Another aesthetic possibility is given by the chance to set it horizontal, or vertical. A magnificent game in design.